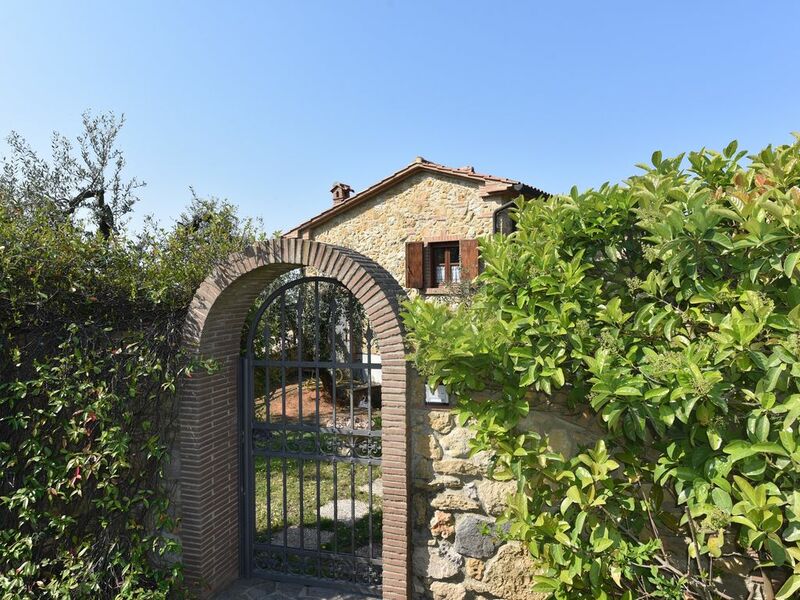 This charming, small stone house has been newly built in a Tuscan style, in the middle of a large olive grove. It is located 2.5 km from the village center of Casale Marittimo. It can easily be reached via a 1.5 km street, which has no asphalt, but it is flat and accessible. The 45 m² house accommodates 2 to 4 people and it has a large living room with fireplace, kitchenette, dining place, and an extendable double bed coach, bedroom with double bed and closet, bathroom with WC and shower and central heating. The interior is very well kept and inviting. It was decorated with a lot of love for details. On a large, partially covered terrace with garden furniture, you can enjoy the silence, the sea view and the wonderful sunsets. The entire property is fenced and ideal for dog owners, who can take their pet with them on vacation. Im Preis sind Strom, Wasser, Gas, Bettwäsche inbegriffen. Es kommt eine einmalige Gebühr von € 50 für die Endreinigung hinzu. In der Vor - und Nachsaison werden eventuelle Heizungskosten nach Verbrauch abgerechnet. Handtuecher sind bitte selbst mitzubringen, koennen aber auch gegen Aufpreis € 10 pro Person bei Voranmeldung gemietet werden. Es ist keine Reiseruecktrittslosten-Versicherung inbegriffen - wir raten Ihnen eine solche abzuschliessen, danke.